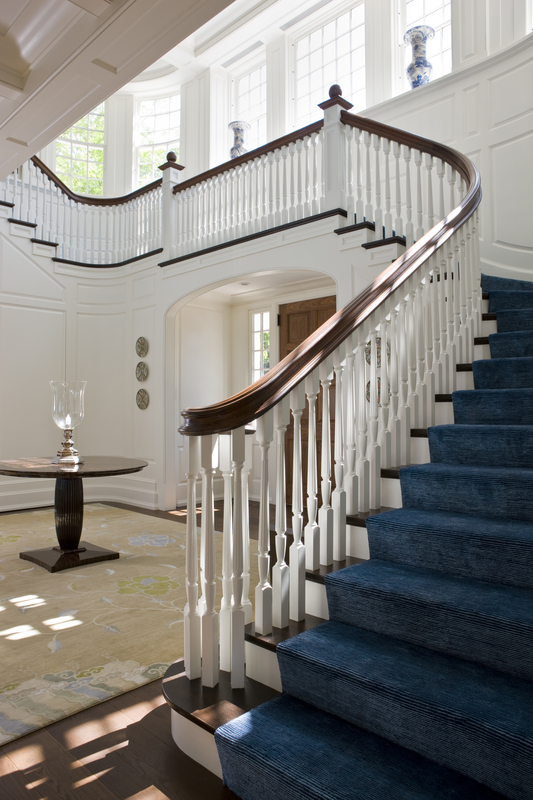 We don’t like playing favorites, but it’s no secret that the team at SLC Interiors has a thing for the color blue. 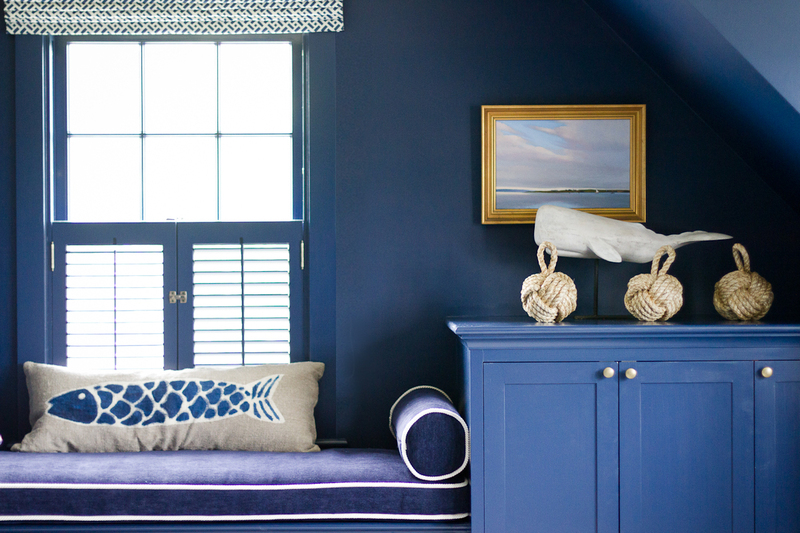 The versatile hue lends itself beautifully to the calming summer escapes we create for our clients on the cape, while in city homes certainly amps up the drama! 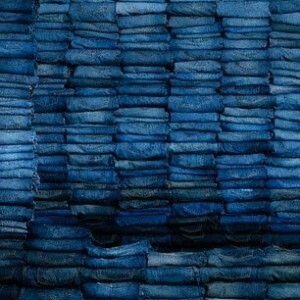 In recent months, our clients have gravitated towards a particular shade of blue….Indigo. With it’ roots dating back to India in the 13th Century this naturally derived shade got it’s start from the Indigoferea tinctoria plant. 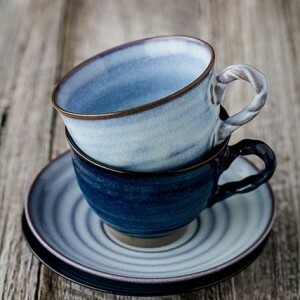 Though it has been used for centuries in silk dying and pottery decoration, the color is perhaps most famous for it’s use in the all-American blue jean. 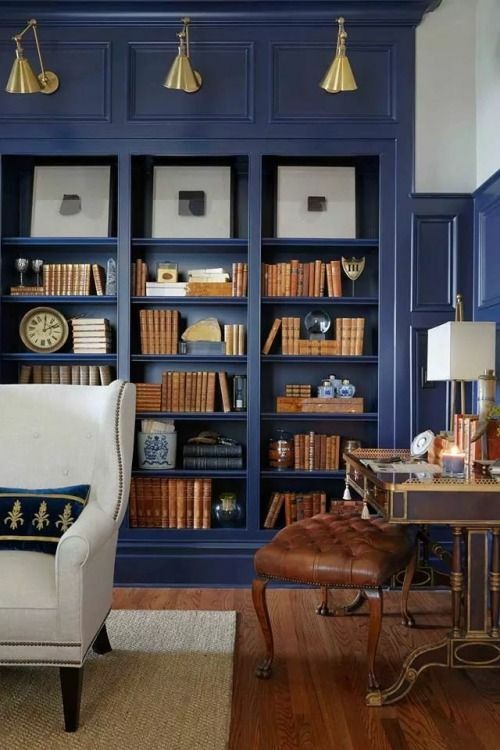 Decorating with the color may seem a tad daring, but consider pairing it with warm brown tones for a masculine aesthetic, or as shown below, crisp white for a more traditional feel. 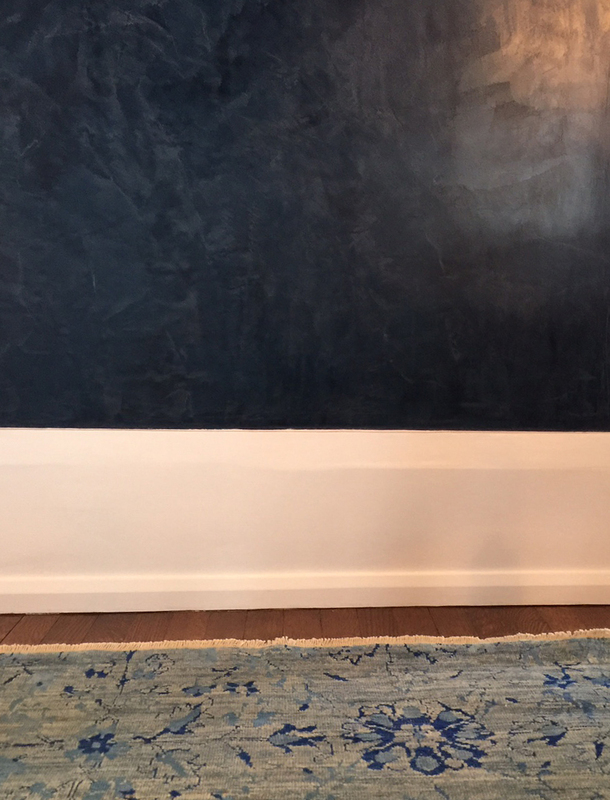 Colleague and custom carpeting aficionado Joseph Carini has always had an affinity for Indigo . 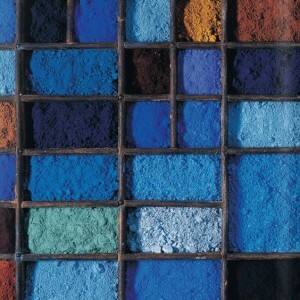 As a color purist, he uses natural dyes to obtain a vibrancy and depth of color unparalleled in the design industry. 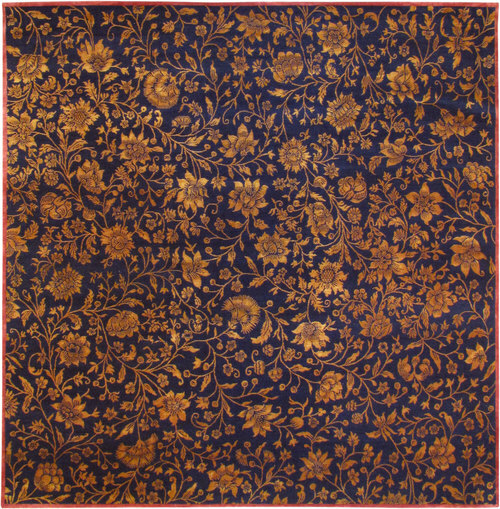 Recently, he revamped an Italianate floral design with bright gold details that pop against the rich indigo background. 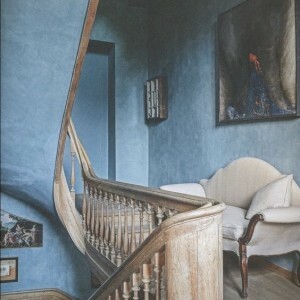 Modern-day design maven Axel Vervoordt also takes indigo to a new level by exploring depth and dimension through decorative painting and plaster techniques. 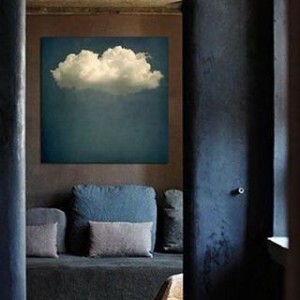 Axel, who is most well-known for his use of neutral palettes and carefully curated antique collections, has mastered the use of varying shades of this color in several of his recent works. 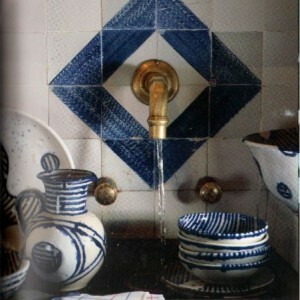 It was these images that inspired a highly pigmented venetian plaster technique implemented on our Brookline job. The home is still under construction, but you can see a preview of the stunning finish applied by master artesian Nathaniel Brady below. We can’t wait to share photos of the finished project!